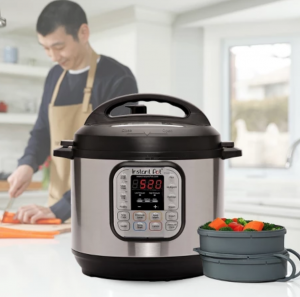 Instant Pot Duo 8-Quart Pressure Cooker Just $89.95! Head over to Target and get the Instant Pot Duo 8-Quart Pressure Cooker for just $89.95! (regularly $129.95) Plus, if you checkout using your Target REDCard you will save an additional 5%. Plus, it will ship free. If you prefer you can get this for the same price on Amazon with free shipping.